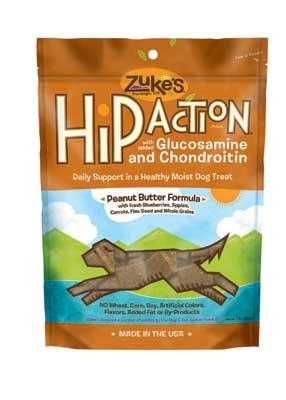 Peanut Butter Hip Action® Treats, 1 pound Pouches - Natural Relief in a Healthy Treat with Glucosamine & Chondroitin. Sore, achy hips and joints with no relief in sight? Hip Action increases mobility and decreases pain . . . naturally. Each bite-size piece contains 300mg of Glucosamine and 250mg of Chondroitin plus essential co-factor vitamins, minerals and amino acids. 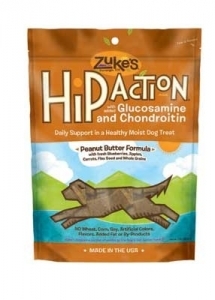 No slimy pills or messy powders, the joint soothing nutrients in Hip Action are packed into delicious easy-to-feed bite size treats.